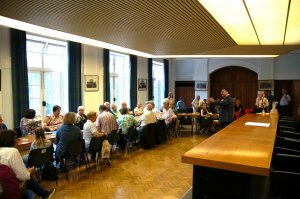 Friday 2nd June 2017 – Hosted a reception in the Council Chamber to welcome the visitors from Skegness's German twin town, Bad Gandersheim. 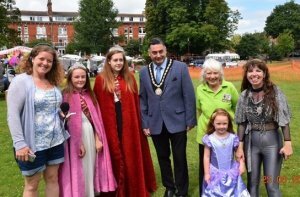 Saturday 3rd June 2017 – Attended the Phillip Grove celebrations for the Queens Sapphire Jubilee. Sunday 4th June 2017 – Met the Hospital Biker Biscuit Rally at Skegness Hospital. They were travelling 140 miles from Grantham Hospital to Lincoln Hospital via Boston, Skegness and Louth to raise money for the Air Ambulance. 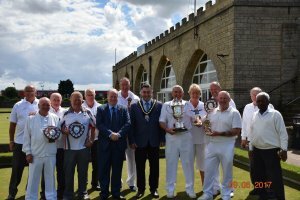 Friday 9th June 2017 – Presented the trophies at the Bowls Tournament held on the North Greens near to the Suncastle. 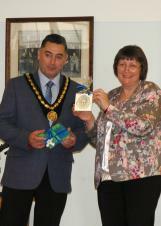 Wednesday 21st June 2017 – Attended the Lincolnshire Regional College Awards Ceremony and helped them present the awards to the students. 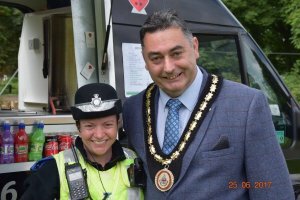 Saturday 24th June 2017 – Opened the June Day Jaunt Summer Fair at the Richmond School and helped them celebrate their 40th anniversary. Sunday 25th June 2017 – Welcomed the Bikers for Macmillan at 4.15am to Skegness after their annual Sunset to Sunrise bike ride. Sunday 25th June 2017 – Attended an event in the Tower Gardens and assisted BBC Radio Lincolnshire with their Pirates Gold treasure hunt competition. 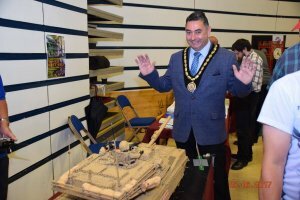 Sunday 25th June 2017 – Was invited to look around the Mecanno Exhibition held at the Embassy Centre. Friday 30th June 2017 – Presented an award at the Lincolnshire Schools Prom held at the Embassy Theatre. 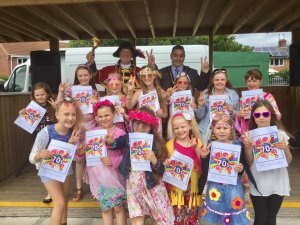 500 school children from the local area performed and several "Lincolnshire Music Education Young Music Maker" awards were presented.